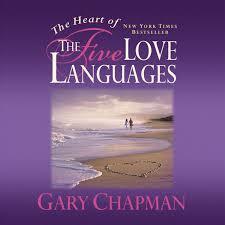 The Author of the “5 Love Languages”, Gary Chapman, was born on January 10 1938 in China Grove, North Carolina. He is a graduate of the Moody Bible Institute and holds a B.A in Anthropology. He obtained his Doctor of Philosophy (Ph.D) degrees from Southwestern Baptist Theological seminary and was about to leave as a missionary in Nigeria, when his wife git sick. sales exceeding 5 million copies which earned him the Platinum Book Award from the Evangelical Publishers Association for “The Five Love Languages” (first published in 1992), which has been on the NY Times best sellers list for two years and has been translated into over thirty-eight languages. Gary Chapman gives us a gift in form of a book titled “The 5 Love Languages” which outlines how individuals communicate and best receive love. The first chapter of the book called “What Happens After Marriage” illustrates the need to understand another person’s (spouse, partner or friend) love language.